Web site with mystery course syllabi. On behalf of the Literacy Committee of Mystery Writers of America, I am compiling a Web page with mystery course syllabi to assist instructors new to teaching mystery and detective fiction as well as those who wish to compare their approach to that of their colleagues. 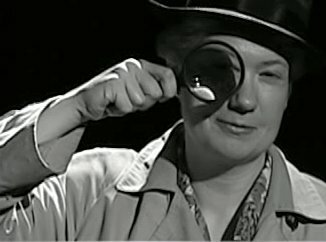 The page also features a short video I produced, "A Gallery of American Mystery Writers," which I provide here as well. Only deceased writers are included in an effort to provide a historical panorama; availability of photographs also affected the video. 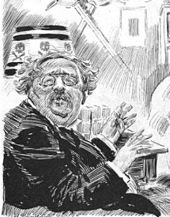 Happy birthday, G. K. Chesterton. • Read his "A Defense of Detective Stories" (1901). • Read his "The Admiral Eats His Hat: How to Write Detective Stories" (1921). ". 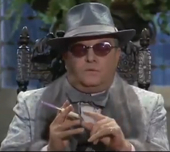 . . the very design of a detective story is a matter not of creation but of construction. . . . let the villain [be] . . . a very viper on the hearth." • Read his "On Detective Novels" (1922). "...the detective story is . . . a drama of masks and not of faces." • Watch Chesterton at Worcester College (1931). 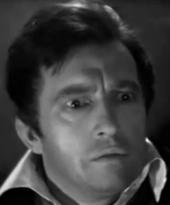 John Huston's Let There Be Light. In honor of Memorial Day, you can view The Reawakening (1919), a short documentary on the rehabilitation of wounded World War I servicemen at a hospital near Chicago, as well as Let There Be Light (1946), John Huston's long-suppressed film (narrated by his dad, Walter) on World War II veterans with PTSD. Both films were restored by the National Film Preservation Foundation. Want to see a classic republished? The Neglected Books blog calls our attention to the Hesperus Press competition, in which you can nominate an out-of-print book for republishing. The clock is ticking, though—the submission deadline is June 1. Hesperus tends to publish short, more obscure works that are in the public domain and are penned by well-known authors. Update. The Forgotten Stories blog has thanked the Bunburyist for providing additional information on Hass. 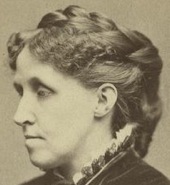 The Houghton Library blog reveals that Louisa May Alcott, in an 18-year period, raked in more than $100,000 in royalties, in comparison to Henry James ($58,503) and Herman Melville ($10,444). An approximate comparison in today's dollars would be $2.5 million for Alcott, $1.4 million for James, and $257,000 for Melville. 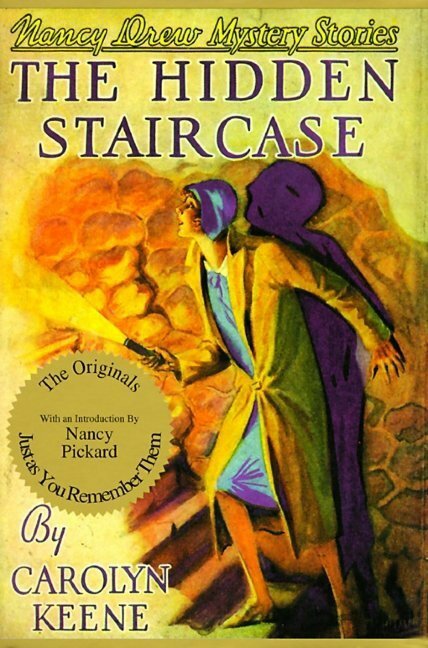 Coming up: Nancy Drew, DC mysteries panels. 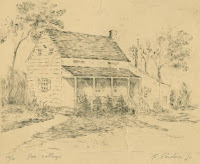 I'm moderating two upcoming panels at the American Women Writers National Museum in Washington, DC: "Mysterious Women Who Know Their Place" on Friday, June 8 (on DC-area mysteries, with Donna Andrews, Karna Small Bodman, Ellen Crosby, and Marcia Talley, and including some past authors who used DC locales) and "Derring-Do and Nancy Drew Us In" on Tuesday, July 10 (on this girl sleuth's enduring appeal, with Georgetown's Leona Fisher, Mystery Loves Company's Kathy Harig, and University of Maryland-College Park's Ann Hudak). My events page is here. Mystery highlights for May, Radio Hall of Fame. May audio highlights at the Radio Hall of Fame include "Murder with Malice" (1974, with a son plotting the murder of his father) from CBS Radio Mystery Theater and "Accident According to Plan" (1945, with a coworker's jealousy taking a sinister turn) from The Whistler. Also included: the famed broadcast by Herbert Morrison of the May 6, 1937, Hindenburg disaster. Clues today on Booklist Online. 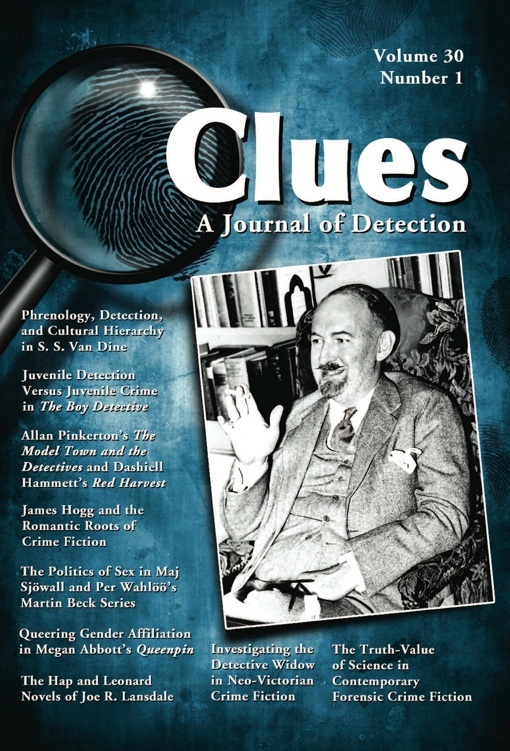 Following up yesterday's post on The Bunburyist I write about Clues: A Journal of Detection on Booklist's blog "Likely Stories"—part of Booklist's special focus on the mystery this month. The Bunburyist today on Booklist Online. I write today about The Bunburyist on the blog "Likely Stories"—part of Booklist's special focus on the mystery this month. Mystery films in CCNY exhibition. Mystery-related movies in City College of New York Libraries' exhibition "Cinematic Allusions to Literary Works" include Blow-Up (dir. Michelangelo Antonioni, 1966) and The Killers (dir. Robert Siodmak, 1946). Mason Adams discussed the short story version of The Killers in "Hemingway's Nick Adams and the Creation of Raymond Chandler's Philip Marlowe" in Clues 26.2 (2010). The University of Delaware Libraries exhibition "Dickens at 200," which runs until June 8, discusses the uncompleted Mystery of Edwin Drood, including attempts by some authors to have Sherlock Holmes solve the case and the 1914 mock trial of protagonist John Jasper that featured G. K. Chesterton as judge and George Bernard Shaw as jury foreman. 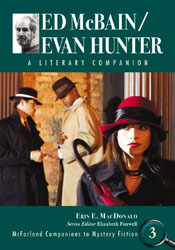 McFarland has now issued Ed McBain/Evan Hunter: A Literary Companion by Erin E. MacDonald, volume 3 in the McFarland Companions to Mystery Fiction series that I edit (volume 1 on John Buchan; volume 2 on E. X., aka Elizabeth, Ferrars; volume 5 on Andrea Camilleri). In this work MacDonald, who wrote her dissertation on McBain, provides comprehensive coverage of the multifaceted career of this author/screenwriter and MWA Grand Master who was a pioneer of the police procedural and had an interesting working relationship with Alfred Hitchcock. There's now a DVD available of Writing as I Should (2010), a film on Batya Gur (1947–2005), the Israeli mystery writer who created Jerusalem-based Chief Inspector (later Chief Superintendent) Michael Ohayon. 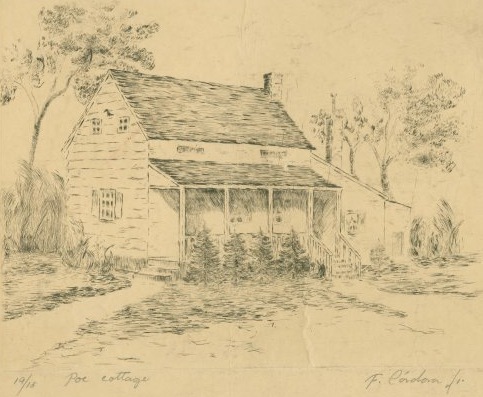 Poe's Bronx cottage wins award. The Web site of the Al Hirschfeld Foundation features online images of the renowned cartoonist's work that reflect the entire span of his long career. Although the resource is a work in progress, those images with a mystery connection include Arsenic and Old Lace (with Boris Karloff, 1941), Basil Rathbone (as Sherlock Holmes, 1990, and in Witness for the Prosecution, 1957), The Bishop Murder Case (1929–30), Dial M for Murder (with Maurice Evans, 1953), Everett Sloane in Crime Doctor (1944), Florence Reed in The Shanghai Gesture (1928), Murder by Death (1976), and A Pin to See the Peepshow (1953).